If I were to tell you that the reasons why we buy things are based more on emotion than logic or reasoning you probably wouldn’t doubt me, would you? Deep down I think we all know that we do this, especially with personal purchases. Perhaps summed up best by the old adage about how we buy things we don’t need, with money we don’t have to impress people who don’t care. Now this isn’t all of us, but I think deep down many of us have been guilty of this before. 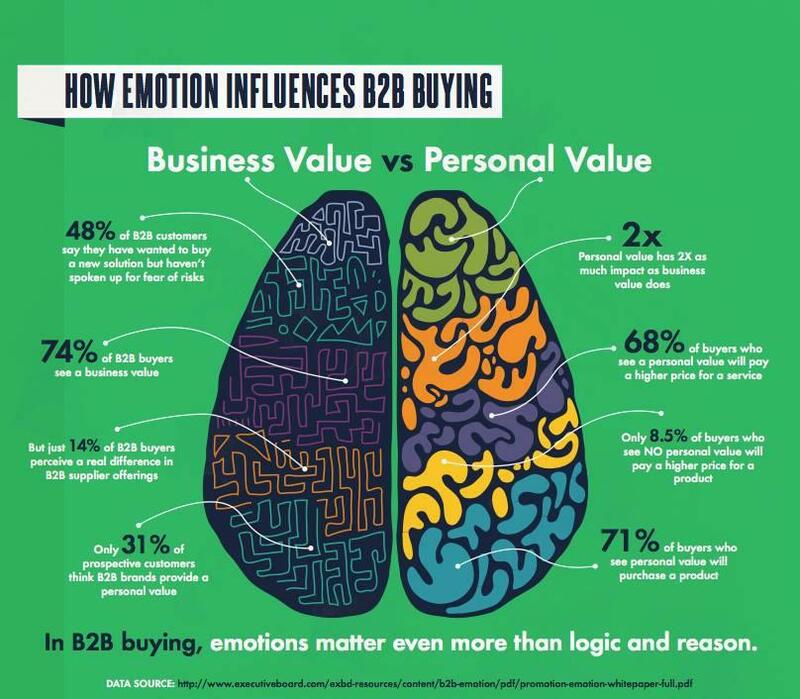 So what about B2B purchasing, do personal emotions infiltrate our business buying behaviors? If so, what do we need to know about this in order to better position our brands? For brands this means it is more important than ever to focus on telling a story that resonates with the buyer on a personal level. When brands connect to people that way their impact goes further and it is much more likely to lead to a sale. So leave the spec sheets and the charts in your brief case and start refocusing your sales and marketing efforts on connecting with people on an emotional level. Apparently this is more than just a feeling, but a true reflection on the way people buy and consume goods and services.